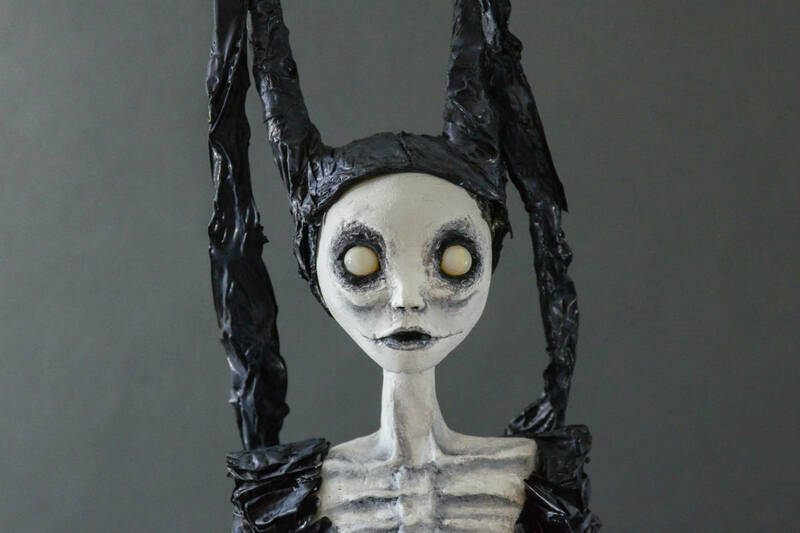 Vermont artist Beth Robinson is not your usual doll maker, and her uniquely grotesque “Strange Dolls” are not meant for kids. Puking Princesses, Soul Eaters, Madonna Whores! These strange creatures and more are among the Strange Dolls that comprise Vermont artist Beth Robinson’s unique collection. 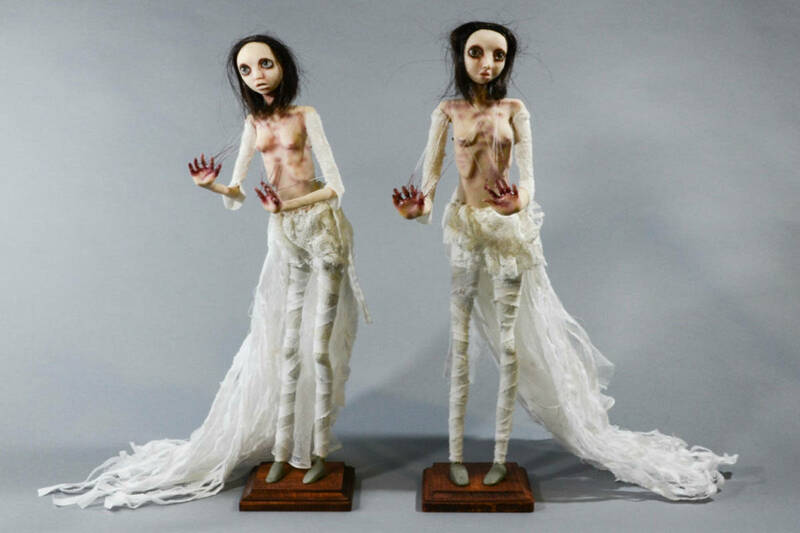 Robinson created her beloved Strange Dolls in 2003, after a close friend opened her eyes to the art of Japanese doll making via a twisted fairytale-themed exhibit. A self-taught artist, Robinson played with several mediums before realizing doll making united all her artistic loves. 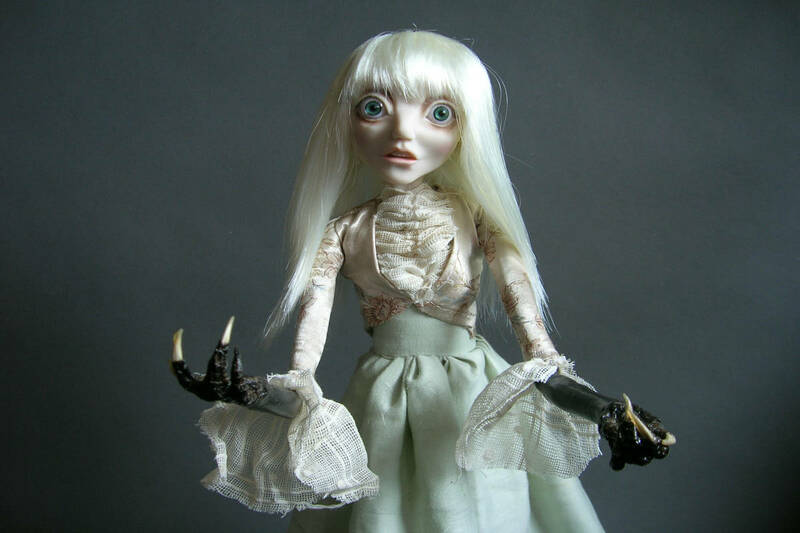 Robinson’s dolls are made of polymer clay, vintage fabrics, acrylic paint, and—yes—sometimes real human hair or teeth. While some might find her use of human body parts repulsive, others find it endearing in a seemingly absurd and eerie way. Robinson has a personal connection with each and every Strange Doll because she molds human-like qualities directly into their characters and expressions, she says. So where does the inspiration for each Strange Doll come from? After moving around a lot, Robinson finally settled in the Green Mountain State at the age of 18. She and her Strange Dolls live in the quaint town of Essex, Vermont, where she has built a bit of a cult following. The influence of New England on Robinson’s work is especially clear in a new exhibit at Burlington’s S.P.A.C.E. Gallery called Conjuring: She Rises. In the exhibit, Robinson and 12 other women artists will use their art to reflect on the 325th anniversary of the Salem Witch Trials relative to the current political and social climate. The countdown begins! 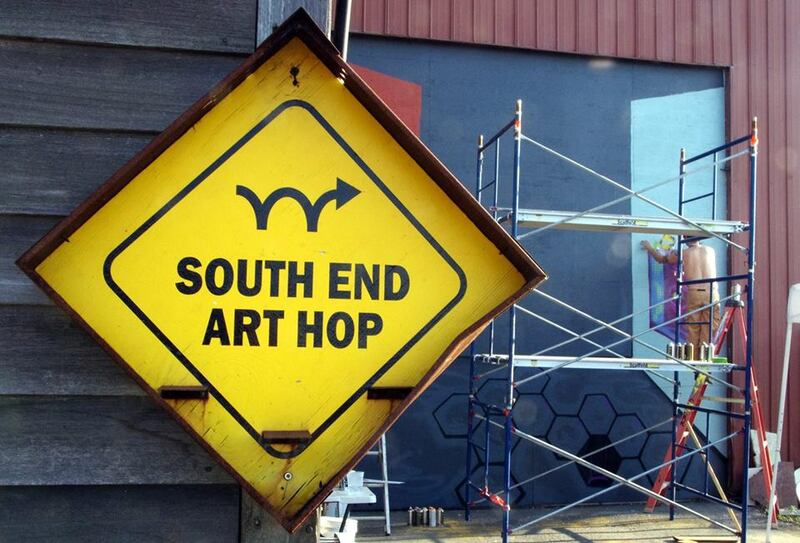 Come visit me next weekend for Art Hop. I will be sharing my old studio space at The S.P.A.C.E. Gallery with Ichor & Teeth & Cullen Johnson. Our space will be the creepiest little corner of the South End Arts District. Come by and say hello!